Microsoft's Windows 7 Phones Series mobile OS blends stylish Zune interface with new features for socializing, sharing, and office productivity. The new home screen, or Start, as Microsoft calls it, contains a series of "live titles" or widgets, which can show you at a glance your missed calls, incoming texts or emails. You can also add "live titles" from friends' social network profiles, such as Facebook. The Pictures Hub pulls into one place photos you took with your Windows 7 Phone camera, photos synced from your computer and also your albums from social networking sites. The Pictures Hub also aggregates any videos you might have. 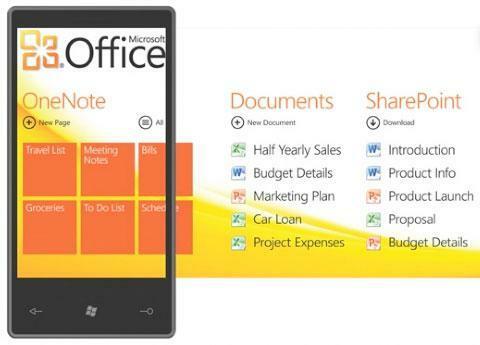 The Office Hub is the starting point for most business-related features on a Windows 7 Phone Series. It provides shortcuts to Microsoft Office Mobile apps, Office SharePoint and Office OneNote, for your notes, schedules or to-do lists. 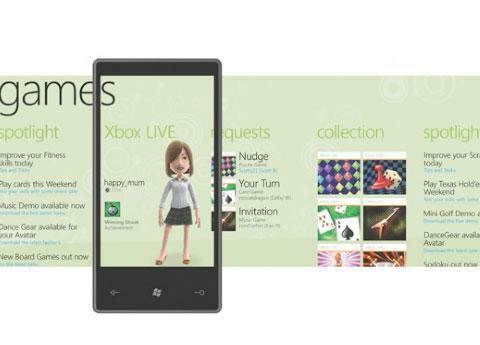 Microsoft boasts that the Games Hub on Windows 7 Phone Series is the first and only official Xbox Live app on a phone. It includes Xbox LIVE games, spotlight feed and you can see people's avatars, Achievements and gamer profiles. 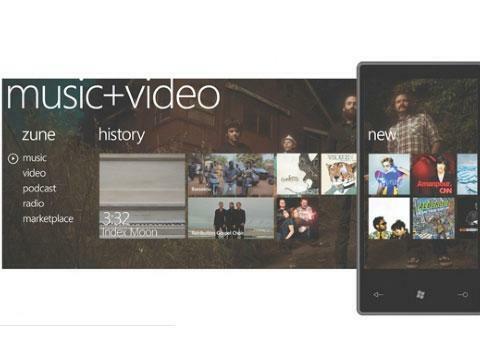 The Music and Video Hub, or the Zune part of the Windows 7 Phone Series is exactly what is says on the tin. It lets you navigate though your music, videos, podcasts, listen to FM radio (subject to phone specifications) or go to the marketplace for more content. T he Windows Marketplace for Mobile is Microsoft's response to Apple's thriving App Store. 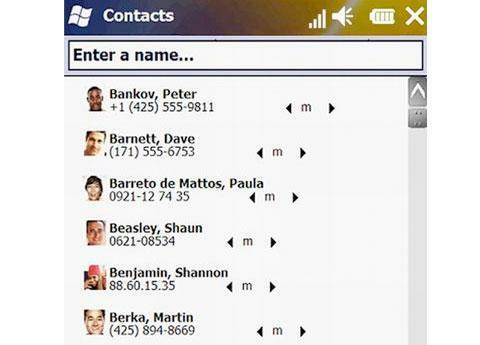 The marketplace showcases applications compatible with your Windows 7 Phone. The Windows Marketplace for Mobile can be browsed by application categories, such as business, communication, entertainment, games, lifestyle, music and video or news and weather. 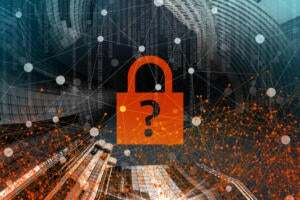 Wireless carriers that sell Windows 7 Phones will be able to have a customized version of the Marketplace, in which they can showcase applications they approve of. With your Windows 7 Phone, you will be able to access the Microsoft My phone service, which allows you to manage all of your phone's content from the Web, such as photos, videos, calendar entries and contacts. The My Phone service also comes with a premium package, which lets your locate your phone remotely via the GPS chip and secure your Windows 7 Phone. Each Windows 7 Phone synchronizes with the cloud-based My Phone service via a dedicated background app. The updated Internet Explorer browser on Windows 7 phones features faster Web sites rendering, adjustable scrolling and redesigned bottom navigation buttons. Contacts have a more mundane look below the People Hub user interface. 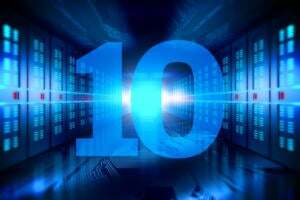 Outlook on Windows phones hasn't seen many changes to the interface either. Exchange Unified Messaging on Windows phones can transcribe your voice mail messages and display the text on screen. 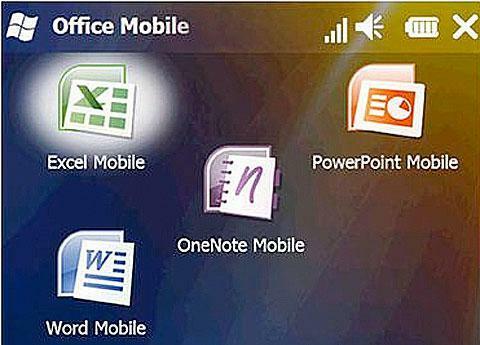 Windows 7 Phones come with four Microsoft Office Mobile apps: Excel, Word, PowerPoint and OneNote. 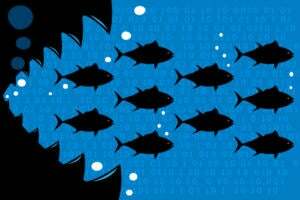 The Office Communicator links you to all the contacts in your work group and lets you exchange instant messages and files.